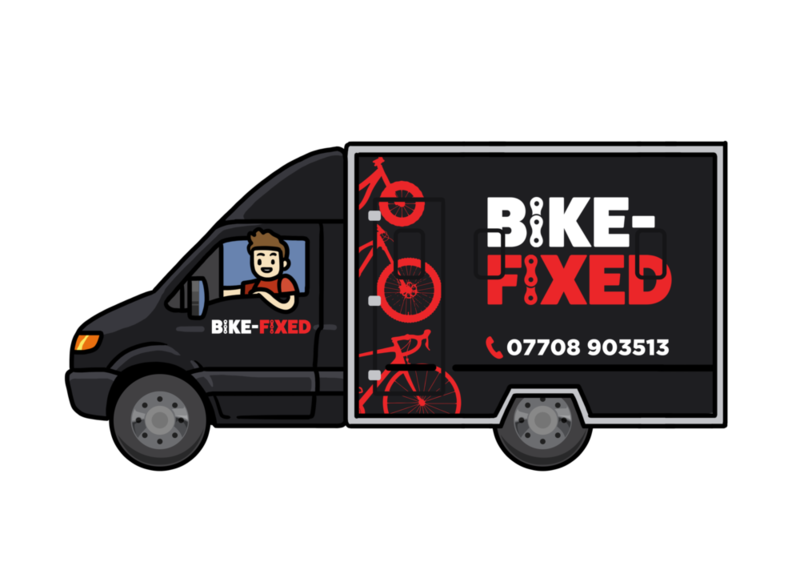 Bike-fixed is an extremely convenient fully mobile cycle repair, maintenance & sales service, based in Bournemouth but servicing the whole of the BH postcode area and way beyond. Visiting you at home, your place of work or even while you are in trouble on a ride with FREE collection & delivery if the repair can't be done on-site! Has your school got a fleet of bikes? Don't leave them to be run into the ground, we can keep them running perfectly. Are you in a cycling group or do your employees cycle to work? Book your Dr Bike session and keep them bikes happy. Got a cycling event coming up? Contact Bike-fixed and have us and our Fully Mobile Workshop at your disposal. Browse our prices and book your bike into the mobile workshop. Quotes are free! See what our awesome customers have got to say about us or Email yours now!